There was sparse habitation in the Neolithic period (7000-3100 BC), mainly in the area of the sanctuary of Athena, to the west of the hill of the stadium. 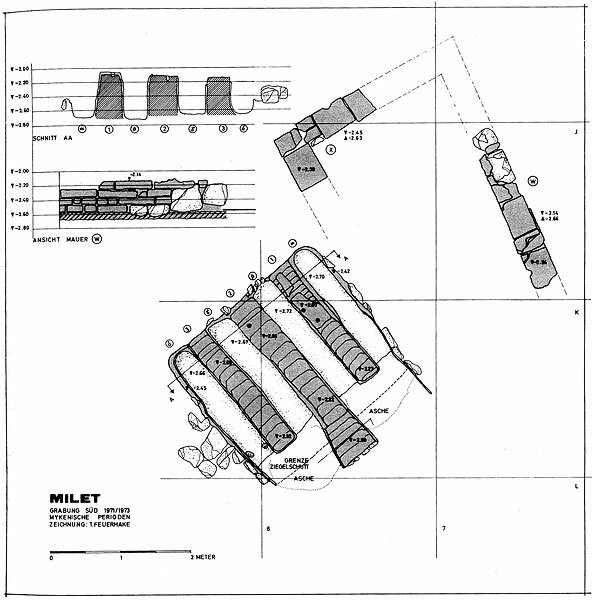 In the Early Bronze Age Miletus was an important centre of the culture of western Anatolia, which reveals its link with the Cyclades, the Dodecanese and Troy. The prehistoric city started to prosper circa 2000 BC. 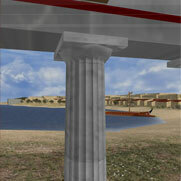 Excavations showed that Miletus was a thriving commercial Minoan centre in the Middle Minoan I A period. The Minoan community, the greatest outside Crete, thrived mainly between 1650 and 1450 BC, towards the end of the Middle Minoan ΙΙ Β period. There are several conflicting mythological traditions about the foundation of the city. According to Pausanias, the first inhabitants were native Carians under Anax and Asterios followed by Cretan colonists under Miletus, who had been sent by King Minos. The Minoans coexisted with the Carians and inhabited the city, which changed its name from Anaktoria to Miletus. On the other hand, Strabo considers that the Cretan colonists were led by Sarpedon and came from the Cretan city of Miletus. Aristocritus of Miletus refers to the very old traditions of the Milesians and says that Miletus was a son of Apollo who fled to Caria in order to escape the envy of King Minos and founded a city named after him. Almost immediately the Minoan settlement was succeeded by the Mycenaean settlement, which is restricted mainly to the zone including the sanctuary of Athena and the Harbour of the Theatre. Several buildings have been excavated, while there is material evidence of a large-scale production of Mycenaean pottery. Vases and figurines were also imported from Argolis. In the heyday of the Mycenean kingdoms of mainland Greece (15th-13th c. BC), Miletus was reported in the chronographies of Hittite kings as an ally of the Achaeans (Ahhiyawa) under the name Milawanda. In the last phase of the Bronze Age the city was again under the Hittites, as evidenced by the Hittite type of fortifications adopted. 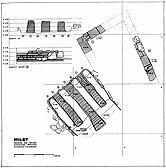 Homer reports Miletus as a Carian city that fought on the side of Troy. It was completely destroyed circa 1185-1180 BC and was abandoned. The Achaean settlers of Miletus were probably merchants and craftsmen who settled in the area, succeeding the Minoans in the Mediterranean maritime routes. The recording of a group of weavers on plates from Pylos is a good example of the relationship between the Mycenaean settlement in Miletus and the powerful Mycenaean centres of mainland Greece. The group consists of Miletian women, classified in the palace lists under the place name of their origin (Milatiai [mi-ra-ti-ja]), who were all in a relation of dependence to the Mycenaean palace. The archives record in detail their payment (in food quantities), the work due and their children. There was remarkable concern by the administrative mechanism of the palace that children, especially girls, are not taken away from their mothers. The intention was, perhaps, to ensure specialised slaves from the next generation, as well as to facilitate the adaptation of the estranged women to their new environment and position. Miletus, therefore -like Knidos and Lemnos- served as a mercantile station to the Myceneans, where products from the great Mycenaean centres were traded for slaves and other commodities.